How To Drive and Increase Referral Traffic To Your Blog? Increasing traffic on a website can be considered as both easy as well as tough task. It’s easy because if you plan a proper strategy and follow it then increasing your blog’s traffic won’t be a big problem but if you don’t plan anything and just do whatever you feel like doing then you won’t be seeing any improvement in your traffic numbers. There are two main types of traffic sources – organic traffic and referral traffic. I am pretty sure you might have read a lot about organic traffic by now so we are not going to discuss that. In this article, we are going to see some simple yet effective ways using which you can increase referral traffic on your blog. But before getting into the article, we should see which traffic can be considered as referral traffic. In simple words, all the visitors that come from some other websites to your site can be considered as referral traffic. These sites can be other blogs, forums, social networking sites, directories etc. Your website link is placed on these sites, which means they are referring your website to their readers and when more and more websites refer your site on their blog, you will be getting more and more referral traffic. It’s not a tough word so I hope that you now understand which traffic you should consider as referral traffic. If you still don’t understand then I will put it in another way. The traffic that isn’t organic, which doesn’t come from search engines, can be considered as referral traffic. As there are lots of websites out there from where you can get traffic, there are a lot of different ways that you can implement to increase the referral traffic. In this article, we are going to see different types of websites from where we can get traffic – blogs and websites, forums and social networks, YouTube – because these are the only ones capable of sending targeted visitors to your blog. I am pretty sure that you know about the methods that you can use to get referral traffic from various blogs in your niche. If you are not familiar with these methods then they are blog commenting and guest posting. There is another one as well, but we will talk about it later. Commenting on other blogs has been considered to be the best way to build new relationships with other bloggers and get a lot of traffic and backlinks. But it’s not always that easy and not everyone is able to benefit from it. If you are commenting on various blogs and you are not seeing any results then you are doing something wrong. Commenting is not something that you can do today and expect to start seeing results from tomorrow. It doesn’t work like that. It’s more of a long-term deal! First of all, you should be looking for some real blogs that publishes great articles and get a lot of comments on them. When you find such blogs, start reading their posts and go through the comments and see if the comments are real and informative and whether the blog owner engage with other commentators or not. If there are informative comments, bloggers engage with each other and the blog owner also actively participates in the conversation then you have found a winner. Then for the next step, all you have to do is start reading their latest articles and share your honest opinions in the comments. Don’t post anything like “Amazing content” or “Thanks for the informative article” because that’s not going to benefit you in any way. Write something that adds more value to the article, if you found something wrong with the post then don’t hesitate to point it out to the writer because that’s how you gain the blog owner’s attention. The more comments you publish on their blog, the higher are your chances of getting traffic from that blog and at times, you might also get featured in one of the upcoming posts. Tip: When you find such blogs with a lot of comments and engagement, join their email list and see what type of emails they send out to their subscribers. If most of them are just affiliate offers or they are trying to sell something then I won’t suggest you to comment on that blog. The reason is simple, they are not giving important content to their subscribers so their blog popularity is going to decline pretty soon. Guest Posts are something that gives you amazing and long-term results. When you publish a guest post on an authority blog, you get referral traffic in the beginning and since you also get backlinks from authority blogs, you will see an increase in organic traffic in the long run. But when you do guest blogging, you should keep certain things in mind. You cannot just go around publishing articles on any blog that you want. You should spend some time in finding the blogs that are relevant to your niche and the content of your article. Make sure that the blog enjoys a high authority in search engines and has a large reader base. As long as you post the relevant article on relevant blogs, you won’t be penalized. Previously I said that there is another thing that we can do to increase referral traffic to our blog and now we are going to see which one is that. This method won’t be giving you instant results but since you are a blogger, you should know this already that proper and long-lasting results can never be gained instantly. When you create a high-quality content then I would recommend you to publish the article on your own blog. Make sure that the article has all the proper points for the topic you are covering, problems and solutions listed and proper resources mentioned wherever they are needed. Then you should start contacting other bloggers through social media platforms or via their email and ask them to give your content a read. Don’t ask them to share the post or give a backlink to you, just ask them to go through it and share their feedback. This way, not all, but some of those bloggers will read your article and if they are impressed, they might start recommending your blog to their own readers and share your posts frequently on social media. Now since their reader base and followers count is much higher than yours, you can expect an increase in the referral traffic and you can also expect a lot of exposure and recognition in the blogosphere. 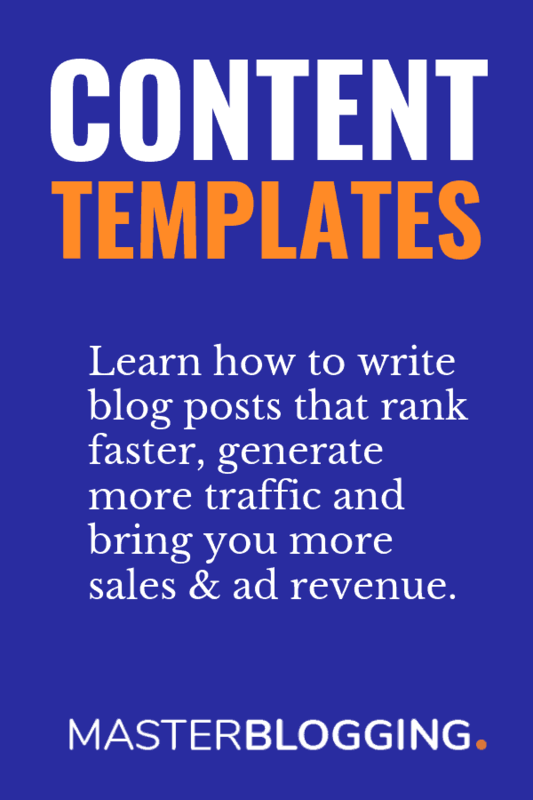 As I said that this method can take some time before it gives you any results so be patient and keep on working on writing the best possible content on your blog. For getting traffic from social media, I am going to cover only 3 networks – Facebook, Twitter and Google+. I know there are other amazing websites like LinkedIn, StumbleUpon and others but since I don’t have any experience with LinkedIn and the traffic from StumbleUpon has a high bounce rate, I am going to skip them. The simplest way to gain traffic from Facebook is to join some relevant and active groups and share your posts with them. I said, active groups because a majority of them are dead and you won’t be seeing any benefits by using them. However, there are still some really awesome Facebook groups that you can join. No matter what your blog niche is, you will find a group on Facebook for it easily. And to get maximum benefits from such groups, you need to stay active in the group. Like and share other people’s posts, comment on them – both articles and Facebook posts and be an active member of the group. By doing this, you might get the attention of the admin of the group and if the articles you share are amazing, your post might get featured on the group. Other simple thing to gain traffic from Facebook is to create multiple pages for your site. The reason I am saying multiple pages is because you need to share your content in different ways on different pages. On one, share only the article links, on the other share photos and videos along with some article links and on the other, choose a different approach. Find out which one works the best, which page gets the most engagement and which one has the highest organic reach. When you find the winning formula to bring the maximum traffic through Facebook pages, all you have to do is just merge those pages. Some of you might argue that you can’t get traffic from Twitter, but I should stop you right there. If you use Twitter properly then you can get highly targeted visitors from Twitter as well. The reason why you are not getting any traffic from the social platform is that you neither have a high follower count nor do you share proper tweets or take part in the various chats. Getting followers on Twitter isn’t hard at all because if you share amazing tweets, not just updates from your blog, but tweets about the latest news, some new launches, sarcastic comments etc. and also take part in the Twitter chats then you are bound to get more followers. So I would suggest you to join JustRetweet to start sharing other people’s tweets. However, you are going to find article links only so you are going to have to do some work to share other types of tweets as well. If you are not free all day to tweet then you need to check out either Buffer or HootSuite so that you can schedule the time to tweet and also see the analytics of the maximum activity on anytime. As I mentioned about the various Twitter chats, I am going to tell you about some of the best ones. The best chats to join are #Blogchat, #SEOChat and others which you can easily find. Here’s an amazing guide on Buffer blog on how to host or participate in a Twitter chat! I have had some success with Google+ recently because I found out that if you share an article on Google+ with proper description and proper hashtags then you are going to get some really good traffic. To get traffic from Google+, all you have to do is join the biggest communities (groups on Google+) and be active there and share your articles – much like Facebook groups. And you can also create a Google+ page for your blog. A Google+ page can be a great thing because when you share articles with proper hashtags on the page then it can also reach a lot of people giving you higher engagement and high traffic. You can connect with BloggerTipsTricks’s Google+ page here. I will share some tips on getting high social shares from Facebook, Twitter and Google+ in the upcoming posts, so stay tuned. Being a part of an active and popular forum and engaging with other people’s posts can prove to be a lot beneficial to you in the long run. Frankly speaking, I am not the right person to tell you how to use forums because I have never stayed active on any forums for a long time but I do know one thing, the forums are amazing source of traffic. Create the perfect profile page – add a perfect bio, profile picture, social accounts, previous work and provide a way so that others can contact me. Stay active on the forums and utilize the signature space to add some relevant links. Start new threads based on relevant and popular topics and if there are older threads open then try to share your views in them. Always stay brief and to the point and always try to be helpful to others. Follow up to all my old as well as new posts and make some real connections with other members. If you like to watch a video on getting started on forums then I would recommend you to check out QuickSprout University’s video on building traffic through forums. YouTube is the biggest video sharing platform where you can not only just watch videos but upload your own videos as well. The site gets billions of visitors each month and a lot of people are redirecting some of that traffic to their own websites by uploading new videos regularly. If you too know how to create videos then you should start creating a small and brief video for each new article and publish it on your channel. Not only you can get a backlink from the video but you can also get lots of visitors if your video goes viral. If you are not able to create videos then you can always hire someone by going to sites like Odesk or Elance. There are a lot of other ways as well to increase referral traffic for a blog. Blog commenting, guest posts, social media, forums and YouTube are just the best ones out there but that doesn’t mean you can’t use others. Blog Community Sites: Community sites like BlogEngage and BizSugar allows you to share your article links on their sites so that its other members can see, like it and comment on it. When you stay active on such sites, it is likely that your post will get featured and you might see a huge surge in traffic. Infographics: This is probably one of the best but an expensive way to increase referral traffic. Even if you know how to create an Infographic, it will take hours or maybe days to come up with one because you not only have to design but you also need to get the best information and relevant sources to make it go viral. Content Curation: This method can be a little time-consuming, but you will not only get high traffic but also get quality backlinks. You can curate content of your blog and other blogs and articles from the Internet by using sites like Scoop.it and Storify. Learn more about content curation from here. So those were some of the best ways to increase referral traffic on your blog. I hope that you are going to try some of them right now and if you liked the article then do share the post with your friends. If you have something to say or you think that I missed something, then comment below to let me know about it. These are really great referral traffic sources while i am conversant with most of them i also use content curation to drive more referral traffic than any of the mentioned sources above. thanks for sharing. I am glad Nwosu Desmond Mavtrevor that you liked the sources I shared. Yes, drive more traffic. Don’t depends on one traffic source and diversity other traffic methods also. Thanks Aditya Dey for adding Wikipedia to the list. It will surely help readers here to get nice referral traffic. I do not understand the back link thing? What EXACTLY is a back link and how does me commenting on other blogs have ANYTHING to do with my blog? Sorry I am just really confused by that. Hi Tiffanyfrye. Backlinks, also known as incoming links, inbound links, inlinks, and inward links, are incoming links to a website or web page. In basic link terminology, a backlink is any link received by a web node (web page, directory, website, or top level domain) from another web node. Backlinks help you in getting a good Page Rank for your website. I am uber partial to commenting myself. Super cool way to get referral traffic and it is free, save the few minutes you spend writing comments after reading blog posts. Way cool post here, with some creative ideas. You are just doing the right thing Ryan. Very detailed guide to drive massive referral traffic to blog. All methods blog commenting, guest post, forum contribution and guest posting etc works perfect to increase referral traffic. I think you missed email marketing, email marketing can be another great source to get huge referral traffic to blog if we use target list. In old days, I never focused at blog commenting but after reading your article, I am thinking to blog comments regularly. Referral traffic is very important for blogs. It helps in the long run and the most engagement you’ll generate on your blog even via referral or social traffic, the higher your posts will rank in search engines. Email marketing, no doubt, is the best source of traffic. The most important thing about it is that we don’t have to worry about organic traffic. We can get instant traffic from our email subscribers. Thanks for your comment, Jyoti. I have started looking out for posting guest posts also. To me, this is the best way for getting referrals. By giving wonderful post, the site owner feels good, readers are happy. What else we want, isn’t? One more informative post by you Ankit. Keep working hard in the same way brother. Referral traffic is definitely important for all the bloggers. We can’t rely on one source. We need to diversify the sources for getting maximum traffic. With time, we need to find more new ways for getting traffic and that is why we need to learn new things related to blogging regularly. Facebook, Twitter, Google +, Scoop, Pinterest are some of the social media sites which provide me with good referral traffic. For getting more referral traffic regularly, we need to promote regularly and keep posting new informative posts at our blogs. You get practiced to nail the post every time and this time too. Lovely post to get referral traffic! I do agree with all your views and like the 3rd tip. I know that I’m missing huge traffic from forums, infographics and YouTube. Will try to get traffic from those awesome ways. I came to know that this was due to my unawareness in getting traffic from social media and blogging communities. That was a great mistake! After that, I recognized that the referral traffic plays a vital role in blogging. So, I’m following most of the ways which you’ve listed here to obtain social media traffic and will try to execute the missed ideas. Many thanks for linking my content curation post here, means a lot. Hi Ankit, I really enjoyed your post, it offered some added ideas to referral traffic. I was wondering, do you find referral traffic or organic traffic more meaningful? Are both equally meaningful because they lead to hits on your blog, or do you find return traffic better from one source of page hits? Thanks! What about Reddit and stumbleupon ? are those are so considered as Referral traffic ? This post is very timely because currently I am creating strategies on how to increase traffic back to my website and I am going to include these traffic generating steps to my list. I can’t wait to incorporate these ideas to my website and blog promotion strategies. These are the stirring ideas to get traffic to the blog. These are some great tips on getting referral traffic. I still find guest posting to be a good source of referral traffic. Other than guest posting, blog directories and communities are a reliable source of quality referral traffic. The advantage of using a blogging community is getting the type of visitors that you need for your niche. Based on your niche, you can target the appropriate blogging communities. Complete information about driving traffic to your blog. I am using Google plus and Twitter as traffic source. But very little as I am new. I never knew about BlogEngage and curation sites .thanks for the knowledge sir. Wonderful post , You are absolutely right, Social media plays a major role in driving visitors to site, I learned about bloggerspassion.com today through your blog, Thank you very much for providing such a wonderful post. Nice tips about increasing referral traffic to blog or website. I am following many sources to increase refferal traffic to my blog like guest posting, article marketing, blog commenting, social media etc. Welcome to my blog and I’m agreeing with your point. Which other techniques you think works best to get more referral traffic? should we insert our blog URL in the Website section of comment box or comment box ? Great post, well social media plays a mjaor role in getting referral traffic. So we must try to share lot of stuff at social media profiles. Superb thoughts Ankit. I was desperately looking for some good ways to increase referral traffic to my blog as Google search is not enough! Very nice explanation but I have one question. What is the difference between Source/Medium and Referrals in Google analytics. All your above steps will increase the traffic in what section. Will I see the effect in Referrals or in Source/Medium is Google Analytics. I make blog comments whenever I get chance and it helps too. I think the best way of getting refferal traffic is Wikipedia. It also gives us almost the best backlinks as it is one of the most active and authority sites. Sharing too much on social networks like facebook with the wrong people simply annoys them. Yes, we can drive many referral traffic from social media! I am getting good results on forum marketing. Driving a lot of traffic from warrior forum only. I also shared my own strategy on my blog about boosting referral traffic from forums. Anyway, very informative article you shared with us. Great article on driving referral traffic to blog! Yes, you are right! For getting more referral traffic we need to be more active on groups or communities. And we should share quality content with others. Our main purpose is to be engage with others for better output. Anyway, very informative post you shared with us. I think Quora is the best platform to get referral traffic. Quaro also help you to improve your conversion ratio since as all kind of content. so just we have to search in google and start commenting. Thank you to give 2 more tips for Referral traffic. Since now i had been using “blog commenting” and “guest posting” as the top most methods to drive referral traffic but now i will give a try to others as well. because i’ve mentioned in beginning search engine optimizations needs time and patience to show results, i would be driving referral traffic in the meantime. Thank you providing the basic information about blogging for the beginners.Currently I am also searching for SEO techniques and came to know about this article. Really helpful. Thank your for your comment, Blesson. All the methods that you have mentioned in your post are must-to-follow steps for driving and increasing more referral traffic to your blog. One must follow these steps to increase their traffics. Personally, I never focused at comment sections seriously, but after reading your blog, I will initiate this practice as well. Thank you. So far commenting is an effective way of getting noticed by many fellow like minded blogger and site owners.scoop it and storify are amazing addition to my knowledge.I came through an article that said scoop it dofollow.I dont know much about it if its true . hi Ankit I want to ask you about blog community like blogengage.com can I become blog authority by getting traffic from that source? the second question is blogengage.com harm my SEO after or not I mean is their service safe? referral traffic is the most difficult one to convert o it may be the most easy one as well.. depending upon the source,….